Enjoy your time in Portugal as much as possible and visit one of the nicest and quieter regions of whole Portugal, Alentejo. A place that hosts World Heritage sites, that has been very well preserved by nature and man. Take this opportunity to get to know this fantastic area in your private luxury vehicle, with a private driver and private tour guide, who will show you the area and tell you the secrets and history of this wonderful region. 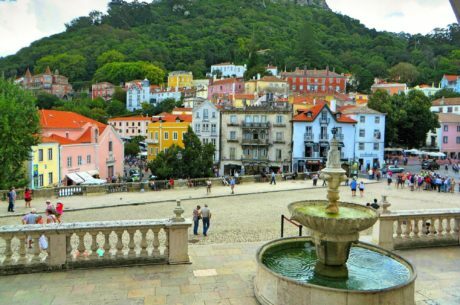 Enjoy this private full day tour and get to know the wonderful region of Alentejo, located only 1 hour and 20 minutes away from the center of Lisbon. We will pick you up from your hotel or place of choice in Lisbon, and you will enjoy a 8 hour tour where you will be fully interiorized in the history, culture and secrets of Alentejo, one of the nicest and quieter regions of the whole country. The Tour Travel and More team will help you to organize the best possible tour, adjusting the tour as much as possible to your own interests and likes. 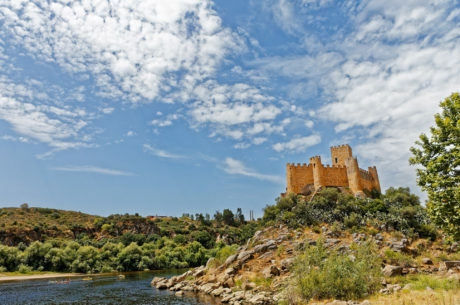 Alentejo is the largest region of Portugal, covering one third of the country. From golden plain lands to lime-green vines, this region is full of history and beautiful landmarks. It even hosts two cities, which had been declared as World Heritage by the UNESCO. In this private 8 hour tour you will visit and walk around some of the most emblematic and nicest spots in this whole region. You will visit places like the Cathedral of Èvora, located in Èvora, which is the capital of the high Alentejo. This place has been declared World Heritage in 1986. Èvora also hosts a roman temple, which is the main monument of the area, and the prove that the roman empire also arrived to portuguese lands. You will also visit the San Francisco church, a Gothic-Manueline architecture church that has been built between 1480 and 1510, it is one of the most beautiful churches, and monuments, of the whole country. You will visit Reguengos de Monsaraz (Monsaraz is a medieval village, and it has signs of human occupation since prehistoric times), which has been declared the European wine city in 2015. Here, you will enjoy a visit and a wine tasting to one of the best cellars in the area. As well, you will go to San Pedro do Corval, which is very well known for its large handmade pottery industry, with about 35 pottery industries. You will get to visit one of those factories and learn the pottery handcraft. Of course, you will have time to enjoy the magnificent cuisine of this region during the tour. When you head back to Lisbon, you will drive through the Vasco da Gama bridge, which has a length of 17.2 km, and offers a different and very interesting view of the city of Lisbon. Once the time in Alentejo is finished, your driver and your guide will take you back to your hotel or place of choice in Lisbon after you enjoyed this tailor made 8 hour tour. As said, it is possible to organize the tour regarding your own interest and likes. We can arrange the exact duration of the experience to fit your own needs. We have suggested 8 hours, if you would like a shorter or longer experience, don’t hesitate in asking us. This is a tailor made experience, we can always adjust it to your own interest.